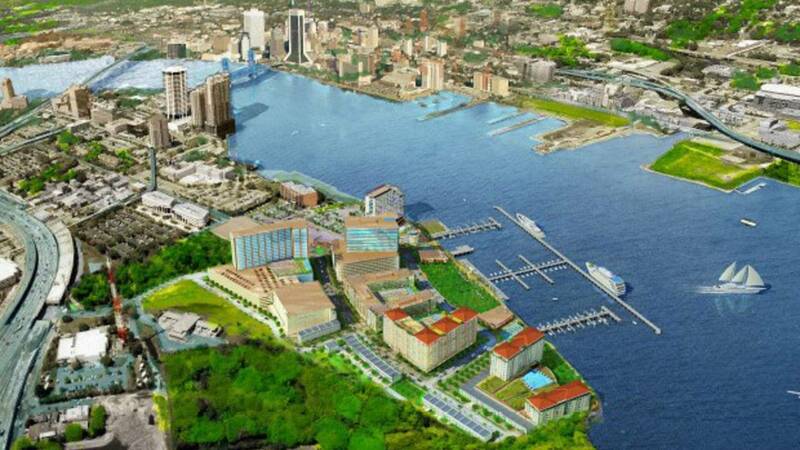 JACKSONVILLE, Fla. - Once called Healthy Town, a planned development on the Southbank of the St. Johns River now known as "The District" is raising questions at City Hall. The proposal for the new community has been changed, raising red flags for some. 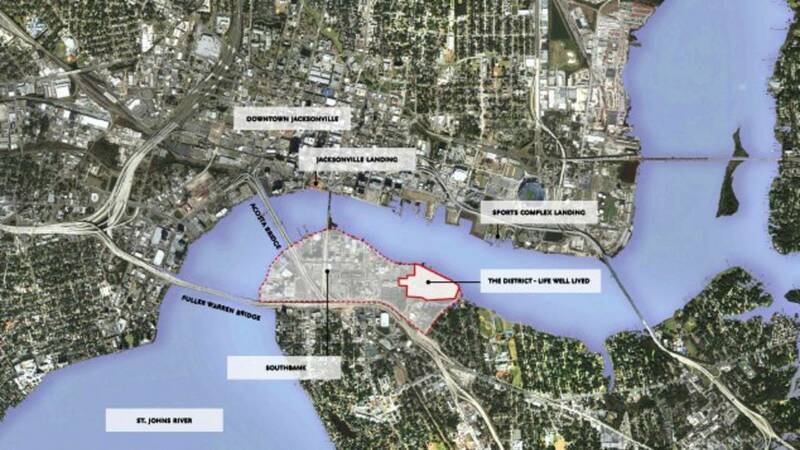 In a version presented to the Downtown Investment Authority this week, the city would purchase the property for $18 million, and the developer, Elements of Jacksonville, spearheaded by prominent businessman Peter Rummell, would then spent $18 million for public infrastructure. A mortgage deal with JEA would mean the city wouldn't have to start paying on the mortgage for the property until tax dollars start coming in after Elements of Jacksonville develops the property. The land is the proposed site for The District, a planned mixed-use community with homes and businesses focused on healthy lifestyles. The purchase of the land from JEA has been delayed several times, and now the city and developer are looking at a complex $46 million deal, which starts with the city paying out more than $18 million for the land. The developer would then pay more than $18 million to help make public improvements, which the city would own, along with the land. The city will add in the last $10 million in infrastructure improvements once taxes come in on the development. But one City Council member isn’t buying into it. “It’s a terrible deal, and by the way, I am looking out for the taxpayers,” Councilman Matt Schellenberg said. 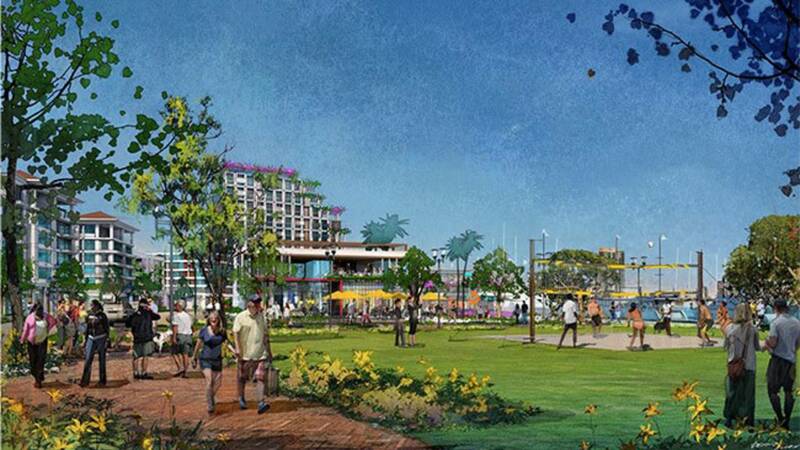 But Mayor Lenny Curry said he is also looking out for taxpayers, and he believes moving ahead with development in that area is a good move for the city. Rummell and his team said the plan would actually protect the city and its investment. They point to failed projects in the past, such as the old Shipyards plan, which ended with the city going to court to get back a multimillion-dollar investment. Schellenberg said he does not want to see that happen again and believes the city and JEA need to start over. “In any other development, you buy a property and you’re responsible for building the infrastructure and everything to do with it,” Schellenberg said. Curry said he knows the proposal for The District is far from a done deal. “This specific project is going to follow a process that all projects follow. The next stop is the DIA board,” Curry said. The Downtown Investment Authority is expected to vote on the plan in early January after a meeting was canceled this week. It would take City Council approval to move ahead after that. Representatives for JEA, which owns the property, are not commenting.